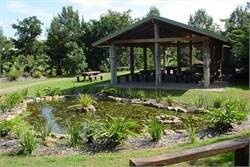 The Wigay Aboriginal Cultural Park, Kempsey is a place of natural beauty, where people come for peaceful walks, gatherings, education and to learn more about traditional plants and Aboriginal culture. The Park contains displays in Wetland, Wet Forest, Woodland, Rainforest and Tropical plants of Australia on 2.75 hectares. Select a guided tour and open yourself up to the tranquility of this oasis in the middle of town.